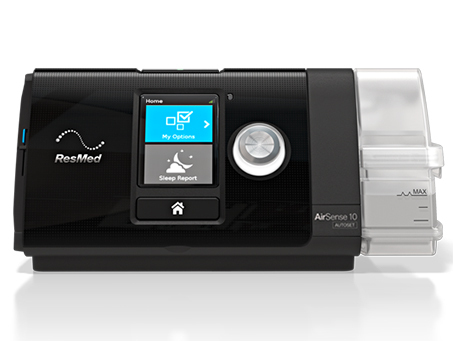 Designed to be intuitive and easy-to-use, you can simply plug in the AirSenseTM 10 AutoSetTM device and press Start. 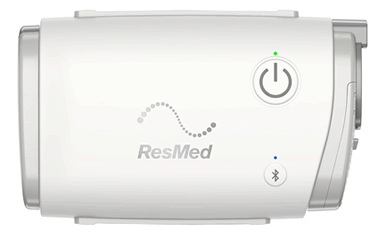 The AutoSet algorithm has been built on ResMed’s 25 years of delivering expertise in sleep therapy. This self-adjusting device has an optional integrated humidifier and optional ClimateLineAir™ heated tube designed to optimise your comfort. Built-in wireless connectivity enables you to opt-in to connect your device to ResMed’s new securely hosted cloud-based system, AirView™. Then your care provider can seamlessly and securely review your therapy data, adjust your device settings, check that your device is working properly and troubleshoot any issues to ensure you get the right treatment without delay. SleepStyle has simplicity woven into its design. Every detail was considered to make it easy for you and your patients to use. In just a few steps, you will be on your way to starting therapy. We’ve done everything we can to help, from having a world-class auto algorithm and central apnea detection, to providing a full range of innovative comfort options. Designed to enhance engagement with therapy. Patients have access to meaningful information allowing them to follow their progress and compare it against how they did on previous nights. An added layer of comfort. 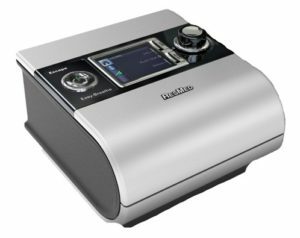 Automatically relieves CPAP pressure during exhalation to make breathing more comfortable. A responsive ramp throughout the night. When wakefulness is detected, treatment pressure is automatically and promptly reduced to a more comfortable level. This eases the return to sleep and helps effective treatment to continue. Get information when you and your patients need it. 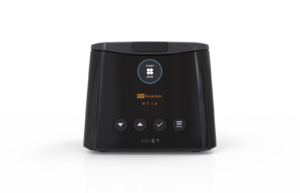 Cellular* ensures automated data transfer while Bluetooth®technology enables patients to track their progress instantly using the SleepStyle App. The S9 Escape Auto™ is the standard auto-adjusting device in ResMed’s S9™ platform, designed to help patients comfortably adjust to therapy and to encourage long-term compliance.